Seizures are the most common neurological emergencies in the neonatal period and are associated with poor neurodevelopmental outcomes. Seizures affect up to five per 1000 term births and population-based studies suggest that they occur even more frequently in premature infants. Seizures are a sign of an underlying cerebral pathology, the most common of which is hypoxic-ischaemic encephalopathy in term infants. Due to a growing body of evidence that seizures exacerbate cerebral injury, effective diagnosis and treatment of neonatal seizures is of paramount importance to reduce long-term adverse outcomes. Electroencephalography is essential for the diagnosis of seizures in neonates due to their subtle clinical expression, non-specific neurological presentation and a high frequency of electro-clinical uncoupling in the neonatal period. Hypoxic-ischaemic encephalopathy may require neuroprotective therapeutic hypothermia, accompanying sedation with opioids, anticonvulsant drugs or a combination of all of these. 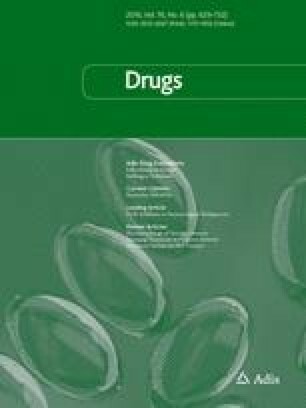 The efficacy, safety, tolerability and pharmacokinetics of seven anticonvulsant drugs (phenobarbital, phenytoin, levetiracetam, lidocaine, midazolam, topiramate and bumetanide) are reviewed. This review is focused only on studies reporting electrographically confirmed seizures and highlights the knowledge gaps that exist in optimal treatment regimens for neonatal seizures. Randomised controlled trials are needed to establish a safe and effective treatment protocol for neonatal seizures. The authors would like to extend their gratitude to Dr. Roman Stilling for providing expert help with artwork. MDD is in receipt of an Irish Research Council for Science Engineering and Technology scholarship. GBB was supported under European Community’s Seventh Framework Programme (FP7/2007-2013) under grant agreement no 241479 and by Science Foundation Ireland in the form of a centre grant (INFANT SFI/12/RC/2272). JFC is supported in part by Science Foundation Ireland in the form of a centre grant (Alimentary Pharmabiotic Centre Grant Number SFI/12/RC/2273), by the Health Research Board of Ireland (Grant Numbers HRA_POR/2011/23 and HRA_POR/2012/32) and by the European Community’s Seventh Framework Programme, Grant no. FP7/2007-2013, Grant Agreement number 278948 (TACTICS—Translational Adolescent and Childhood Therapeutic Interventions in Compulsive Syndrome). No funding was specifically received for the publication of this article. Maria Donovan, Brendan Griffin, Liudmila Kharoshankaya, John Cryan and Geraldine Boylan declare that they have no conflict of interest. World Health Organisation. Guideline on Neonatal Seizures. 2011. http://apps.who.int/mental_health/publications/guidelines_neonatal_seizures/en/. Accessed 17 Apr 2015. US National Institutes of Health. ClinicalTrials.gov. 2015. http://clinicaltrials.gov. Accessed 13 July 2015. Irish Medicines Board. Summaries of product characteristics-levetiracetam [Online]. 2013. http://www.medicines.ie. Accessed 5 January 2016. Stockley’s Drug Interactions. In: Medicines complete database. 2009. http://www.medicinescomplete.com. Accessed: 23 July 2015.